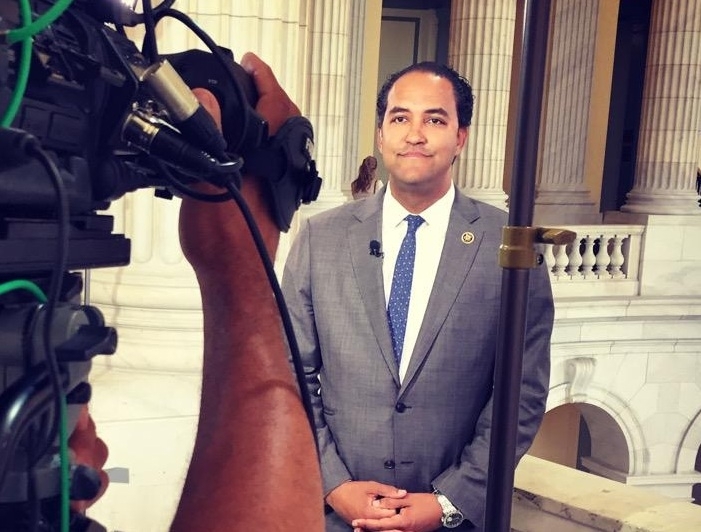 Rep. Will Hurd (R-Texas) didn’t waste any time at a recent field hearing to say Federal agencies are dragging their feet when it comes to cloud computing. “We deserve a Federal government that harnesses innovative solutions such as the cloud to modernize record keeping, improve critical government functions, maximize security, and be wise stewards of our tax dollars,” said Hurd, the chairman of the House Oversight Committee’s subcommittee on Information Technology. FedRAMP411 caught up with Rep. Hurd so he could elaborate on cloud computing, IT spending, and the opportunities Federal agencies are missing. FedRAMP411: What are your expectations for the growth of Federal cloud computing spending in Fiscal 2016? Are agencies being aggressive enough with their cloud computing initiatives? Hurd: The government has not been adopting cloud technologies at the pace that it should. Our field briefing in September in my hometown of San Antonio, Texas, highlighted this issue. The Cloud First policy was announced in 2010 and the Federal Cloud Computing Strategy was published in 2011. Unfortunately, we’ve seen slow movement and a culture that so far has been unwilling to embrace cloud solutions. According to a 2014 General Accountability Office (GAO) report, only 2 percent of the IT budget for the seven major agencies examined – was spent on cloud in 2014. This represented a 1 percent increase from 2012. Looking ahead to Fiscal Year 2016, I’m hopeful the more we talk about the cost savings and potential efficiencies realized through cloud solutions and the more we dispel myths that cloud solutions are somehow less secure than onsite infrastructure solutions – the more Federal CIOs will be empowered to embrace cloud solutions. That was one of the main focal points of our September subcommittee field briefing. I also believe that the data breaches of U.S. networks, such as the blockbuster Office of Personnel Management (OPM) attack, will provide an opportunity for agency IT professionals to pursue solutions like cloud that generally bake-in security – instead of using the legacy approach of building security after the fact. FedRAMP411: Would increasing spending on cloud computing reduce the Federal government’s overall spending on IT? Hurd: Reprioritizing budget dollars towards cloud computing can reduce the overall spending on IT by the Federal government. Budget cuts are always an easy excuse for Federal agencies to use when explaining their failure to update or eliminate legacy systems. I think leadership and buy-in from senior agency officials will be critical to encouraging adoption of cloud solutions. I always say that the biggest problem in Federal IT is one of culture. Part of leadership is setting priorities. Currently, the agencies generally are not prioritizing innovative IT solutions like cloud that would allow agencies to realize savings and increase efficiencies. The 2014 GAO study found that the primary reason agencies spent so little of their IT budgets on cloud was because the agencies had not even considered cloud computing services for roughly 67 percent of their investments because a large percentage of their IT budget remains focused on legacy technologies. I believe the increased authorities given to CIOs and accountability requirements in Federal Information Technology Acquisition Reform Act (FITARA) will help CIOs in efforts to reprioritize their spending. FITARA is meant to fix many of these problems that contribute to slow adoption of cloud solutions, and the subcommittee will be taking a hard look at FITARA implementation in coming months. FedRAMP411: One of the telling statements made during your field hearing last week came from a DHS official who said many agencies are using cloud computing today in a similar manner as in 2010, with a particular focus on commodity IT rather than mission IT. Are you able to put your finger on what accounts for the sluggish adoption of cloud computing by Federal agencies? Are agencies happy with the status quo in IT? Hurd: I think sticking with what you know – or the status quo – is the easy way to go. I think pushing for greater adoption of cloud solutions involves change and that is always hard. Again, it goes back to an issue of culture. So far, agencies that have adopted cloud solutions have generally focused on commodity IT such as email. I think addressing security concerns, clearly defining requirements, and embracing procurement models geared toward cloud solutions – will help agencies consider cloud solutions for mission IT. I also think vigorous implementation of FITARA can facilitate moving toward modernized IT solutions such as cloud. FITARA encourages a unity of effort by senior agency officials like the CIO, CFO and the Chief Procurement Officer in evaluating current agency IT portfolios and adopting IT solutions, such as cloud. FedRAMP411: To follow up on that, do you think legislation or congressional action is needed to prompt Federal agencies to pick up the pace and implement cloud computing initiatives quicker? Hurd: I wouldn’t rule out potential legislation, but for now I think we in Congress, and especially members of the House Committee on Oversight and Government Reform, have a duty to focus on oversight and implementation of existing law, such as FITARA. FITARA, although not necessarily cloud specific, is geared toward reform IT acquisition activities. I think as part of our oversight we need to encourage agency leaders, especially CIOs, to consider cloud solutions. We need to make sure the acquisition challenges with respect to cloud are addressed. We also need to make sure security is prioritized and FedRAMP, the government-wide program certifying that cloud service providers meet security requirements, is able to fulfill its mission in a timely and effective manner. The Office of Management and Budget (OMB) also has a leadership role here in the overall policy direction of Federal IT. Federal CIO Tony Scott has discussed these issues at length, and I look forward to working with him moving forward. FedRAMP411: Are there other factors at play that need to be addressed – does the technology industry or FedRAMP have a role to play in speeding up cloud computing adoption? Or are agencies solely to blame for the slow pace of cloud adoption? Hurd: This effort to implement the Federal government’s cloud first policy is one that takes leadership. It will take focus by the Federal government, Congress, and industry as a general collective. Agencies must realize that we owe it to the taxpayers and the American public to work together and ensure our IT posture is constantly improving.